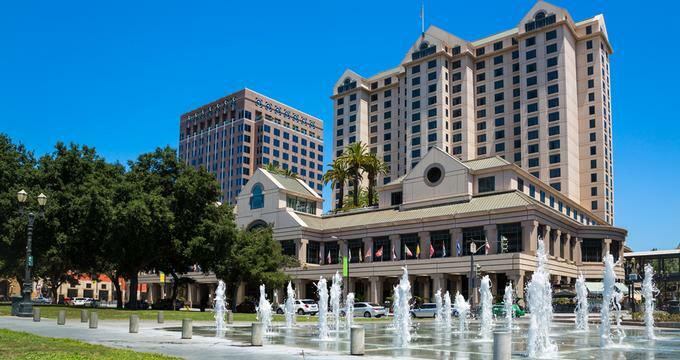 Plan a weekend in San Jose, a vibrant city in Silicon Valley where you will find unique museums, free attractions, lively neighborhoods, beautiful parks, unique wedding venues and great restaurants. 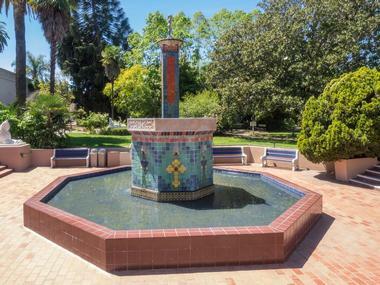 Take a walk through the romantic Municipal Rose Garden, have a delicious breakfast, explore the Rosicrucian Egyptian Museum, and stroll through San Pedro Square Market. Best things to do in San Jose CA with kids include the Children’s Discovery Museum of San Jose, and the Happy Hollow Park & Zoo. 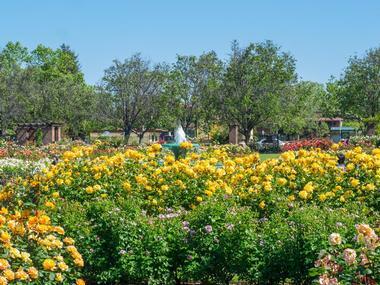 San Jose's five-and-a-half–acre Municipal Rose Garden is one of the best places in town to relax, recoup, and literally smell the roses – more than 4,000 of them, in fact. This fragrant paradise has served as the home to these blooming roses in San Jose since 1927, and it is one of the biggest and the most beautiful rose gardens in the world. 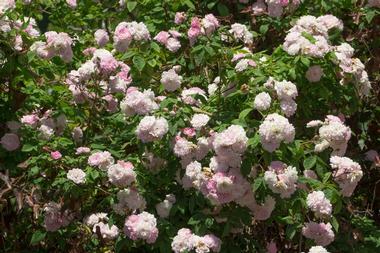 There are 189 rose varieties, and the rose growers are developing new hybrids every day. The garden is one of the top San Jose attractions, and, unsurprisingly, it is a popular venue for weddings. Volunteers from the Friends of the San Jose Rose Garden also come here to help prune, deadhead, fertilize, and weed. Without their help, giving these high maintenance beauties the attention they need would be almost impossible. The Municipal Rose Garden is a must-see attraction in San Jose. 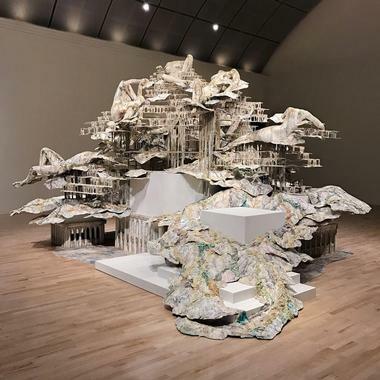 Located on South Market Street next to the Plaza de Cesar Chavez Park and the Circle of Palms Plaza in downtown San Jose, the San Jose Museum of Art is dedicated to exhibiting late 20th century and 21st century works of art created by West Coast artists. The museum’s 2,000 works represent several media forms, including drawings, paintings, photographs, and sculptures, among others. The museum is housed in a building that was originally built as the San Jose post office and then later served as the city’s library. It is listed on the U.S. National Register of Historic Places and has also been designated as a California Historical Landmark. The San Jose Museum of Art is one of the places to visit in San Jose for art lovers. San Pedro Square Market is a San Jose favorite for both locals and tourists. All the food is literally from farm to table, and it could not be any fresher. Live music is always playing, making the ambience fun and lively. Go for oysters at the Hog Island Oyster Company, get some organic meat for tomorrow’s dinner at Golden Gate Meat Company, check out the cheeses at Cowgirl Creamery, and visit Rancho Gordo for 25 kinds of beans, herbs, and hot sauces. Since you are in California, it won’t surprise you to find so many delectable local wines to sample. 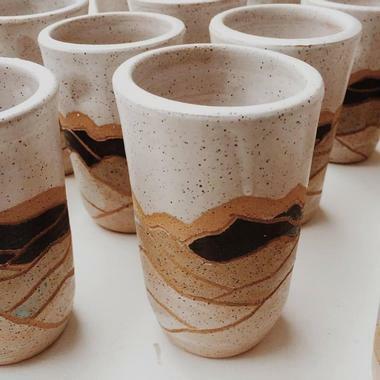 There are also arts and crafts, pastries and coffees, and so much more. You cannot possible sample it all in one visit, and you will definitely want to come back for more. 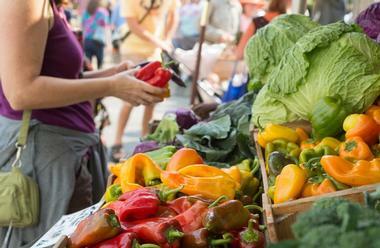 Indulge your love of food without the guilt – San Pedro Square Market happily supports local farmers and artisans. A historic neighborhood of San Jose, Willow Glen is known for its walkable tree-lined streets, its numerous restaurants and shops, and its appealing architecture, all of which give the area a small town atmosphere. Specialty boutiques and vintage shops, children’s shops, sidewalk cafes, and coffee shops line the streets. 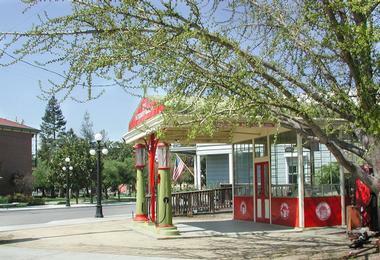 The Willow Glen community began in the 1860s and the architecture of the buildings introduces visitors to diverse styles such as Craftsman, Mission, Neoclassical, and Victorian. Several events take place every year in Willow Glen, including Christmas Tree Lights, Dancin’ on the Avenue, and Founders’ Day. There are more than 250 businesses in Willow Glen and plenty to do this weekend. Located on Woz Way in downtown San Jose, the Children’s Discovery Museum of San Jose is dedicated to showcasing exhibits that educate and inspire children to be curious and creative. Woz Way is named after Steve Wozniak, nicknamed “Woz.” He co-founded Apple and was the primary donor in helping to fund the creation of the museum. If you are wondering what to do in San Jose with kids, this is a great place to visit. Opened in 1990, the Children’s Discovery Museum is one of the top children’s museums in the U.S., and it is also one of the world’s top science centers. Exhibits include the Art Gallery and Art Loft, Kids’ Garden, Mammoth Discovery, Voyage to Vietnam, and many more. If you are looking for fun family things to do in San Jose, this is a great place to visit. The Rosicrucian Egyptian Museum shares the wonders of ancient Egypt with visitors. Located on Park Avenue at the Rosicrucian Park in the Rose Garden neighborhood of San Jose, the museum was established by the Ancient Mystical Order Rosae Crucis, which was founded by Dr. Harvey Lewis. Dr. Lewis first showed his collection of ancient Egyptian artifacts in 1929 and, after receiving and collecting more artifacts, the current museum was built in 1966. If you are wondering what to do in San Jose on a rainy day, this is a great place to visit. The museum was built in the ancient Egyptian style and sits in an Egyptian revival park. Along with the largest collection of ancient Egyptian artifacts in the Western United States, the museum also contains an impressive planetarium. Located on Senter Road in Kelly Park, the Happy Hollow Park & Zoo is a 16-acre amusement park and zoo. It first opened in 1961 and was later renovated and reopened in 2010. Some of the zoo’s exhibits include a petting zoo with a barn, a children’s play area, a puppet theater, and rides for young children. The park also has an education department, which showcases hands-on interactive exhibits that help visitors to learn about animals. 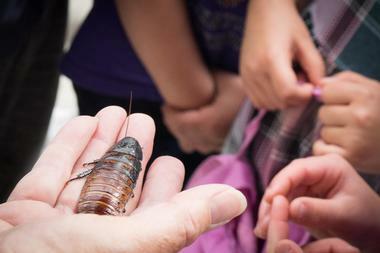 If you are wondering what to do in San Jose with kids, this is a great attraction. There are also classes and camps for children. The park’s Picnic Basket Restaurant offers sandwiches, salads, entrees, desserts, and drinks. 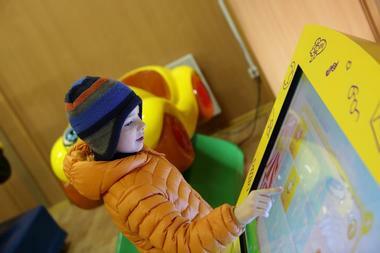 “The Explore and More Store,” a shop located within the zoo, sells clothes, games, unique stuff that makes an easy gift, and toys for kids. 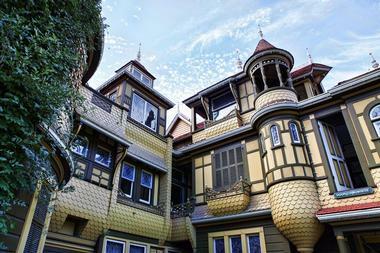 The Winchester Mystery House is a mansion located on South Winchester Boulevard in San Jose. This Victorian mansion was built in the Queen Anne Style, and it once served as the residence of Sarah Winchester, the daughter of gun maker William Wirt Winchester. Construction began in 1884 but stopped when Ms. Winchester died in 1922; she and others claimed the house was haunted. The mansion is a popular destination, and it is known for its size and unusual architecture. There are several tours available, including the Mansion Tour, the Grand Estate Tour, and the Behind the Scenes Tour. The house is listed on the U.S. National Register of Historic Places and has been designated as a California historical landmark. The San Jose Museum of Quilts and Textiles is located on South First Street in downtown San Jose. It is the first museum devoted exclusively to exhibiting the intricate art of quilts and textiles. Opened in 1977, the museum has an impressive collection consisting of more than 550 quilts, textiles, and garments, all of which were created by artists in the 20th and 21st centuries. The museum also has a library with more than 500 books about the techniques and the history of this art form. The museum regularly offers classes and lectures for children and adults, and tours led by trained docents are available several times per month. 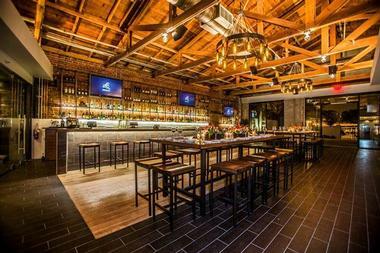 SP2 is the latest communal bar and restaurant located near the renovated San Pedro Square Market in downtown San Jose. The food is American bistro cuisine, but with executive chef Ben Robin and chef de cuisine Jacob Farleigh in charge, the dishes are transformed into something truly extraordinary. Enjoy delectable fare such as the House made Italian Sausage Flatbread with Pickled Cherry Peppers, the Pecorino and Tomato Sauce, or the celebrated and award-winning Half or Full Rack of Ginger Soy Glazed Baby Back Ribs with Red Apple Ginger Slaw. Dine on the cozy patio or come in the evening for a cocktail and appreciate the trendy atmosphere in this popular and hip place. Located on Berryessa Road, the San Jose Flea Market first opened in 1960 with just 20 sellers. Today, the market boasts between 1,000 and 2,000 vendors who sell their goods on weekends. George Bumb Sr. founded the market in order to sell usable items he saw being thrown away when he was working in the landfill business. He built individual merchant stalls, installments that helped the vendors by offering them storage space for their goods. There are more than a dozen restaurants and snack bars on the 120-acre property, and over four million visitors explore the market each year. 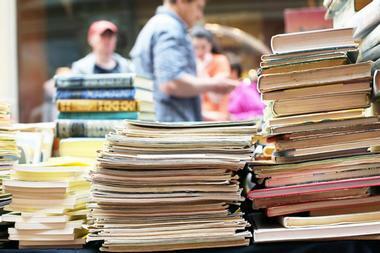 The flea market is open Wednesday, Friday, Saturday, and Sunday. If you are wondering what to do in San Jose on a sunny morning, visit this unique market. Established in 1995, the Heritage Rose Garden is one of the most beautiful San Jose attractions. 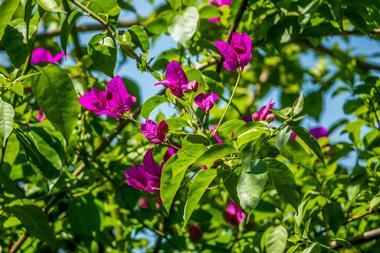 The garden has more than 3,500 roses of almost 3,000 varieties, more than any rose garden in the Western Hemisphere. The garden is a joint venture of the City of San Jose, the Guadalupe River Park Conservancy and the South Bay Heritage Rose Group. While the City of San Jose supplies all the materials, most of the work is done by more than 750 volunteers who help with propagating, planting, fertilizing, pruning, weeding, cataloging and providing endless loving care. You can see about 250 of the Garden’s climbing roses on the Santa Clara University fence. History San Jose is a kid-friendly historical organization that recreates life in San Jose and the Santa Clara Valley during the 1880s. There are three locations, the first of which is History Park found in Kelley Park. This 14-acre location features original and refurbished businesses, houses, and landmarks as well as a cafe and running trolleys. The Peralta Adobe - Fallon House Historic Site is located next to the San Pedro Market in downtown San Jose. Tours of the 1797 Peralta Adobe and the 1858 Fallon House are available. The Collection Center consists of thought-provoking artifacts, and photographs, and it also features a research library and archives. The Farmers Union is absolutely packed on game nights when sports fans watch the action on one of many TVs throughout the restaurant. 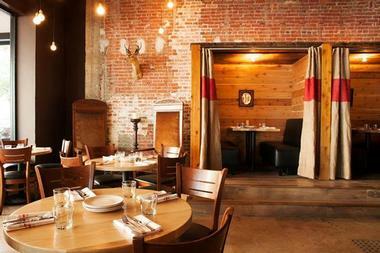 Farmers Union is more of an old-fashioned tavern with enclosed boots, rustic wooden tables, and the occasional animal head on the lovely old brick wall. The menu features American favorites like good old baby back ribs, crabs, and mac and cheese. Pair your meal with one of the 52 craft beers on tap or a glass of wine from the restaurant’s custom designed wines-on-tap program. The gorgeous marble-topped horseshoe-shaped bar is the star of the show. The Farmers Union is a great place to bring friends, but it is also elegant enough to impress a boss or a potential significant other. 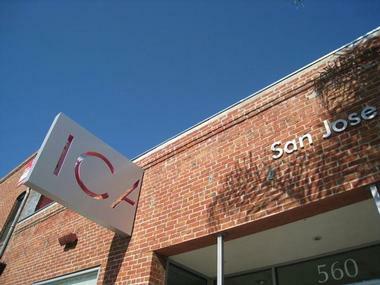 Located on South First Street in the South First Area Arts District of downtown San Jose, the San Jose Institute of Contemporary Art consists of three galleries of contemporary art housed in a sleek, minimalist space. Founded in 1980, the gallery is known as an art space that visitors of all ages can appreciate and enjoy. The exhibition space hosts installations created by both individuals and by groups, and these events are typically opened with receptions. The gallery also presents programs such as artist lectures, tours of the exhibitions, music performances, art auctions, and much more. The San Jose Institute of Contemporary Art is one of the	top things to do in San Jose CA for art lovers. 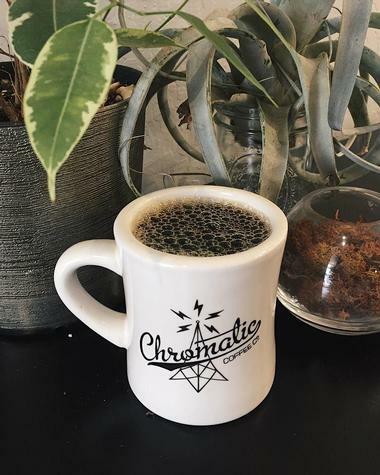 Small and narrow and located in an unassuming storefront in a strip mall in downtown San Jose, Chromatic Coffee quickly became a popular spot for coffee and tea connoisseurs (a fancy word for geeks), brewed just so, from single-source batches from all over the world. The place is sleek and modern but the atmosphere is pleasant and fragrant. There is the earthy smell of dark roast from the distant Minas Gerais region in Brazil, more mellow seasonal coffee from Holy Mountain, and other delicious smells that all combine into one inviting combo. They also sell Manresa granola, fruit compote from Sweetdragon, deli salads from Zanotto’s markets, and pastries and breads from 2nd Story Bakery. Their selection of local and regional craft beers is huge, and you might want to come just for that. 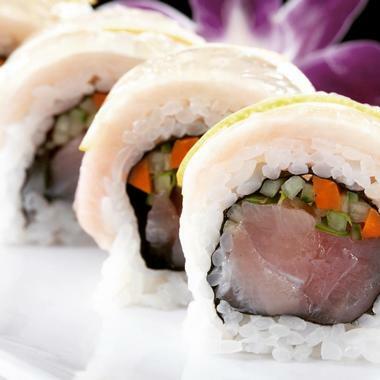 Mizu Sushi Bar & Grill is an elegant, upscale eatery where you can indulge your love of sushi or discover what so many people have been raving about. The ambience is comfortable yet elegant with just the right touch of Asian artistic flair. Famous for its striking and inspired blend of Japanese and Korean flavors, Mizu offers a large menu that includes not only timeless favorites such as sushi and sashimi, but also Korean traditional dishes such as bulgogi and la galbi and grilled delights such as teriyaki or tonkatsu. You can start off your Mizu adventure with one of their famous cocktails and then move on to sake or anything else from their well-stocked bar. The Chinese American Historical Museum is a nonprofit museum and organization housed within the historic Ng Shing Gung, or Temple of the Five Gods, which was originally constructed within San José's Heinlenville Chinatown and transferred to the city's History Park in 1991. The museum is overseen by the Chinese Historical and Cultural Project, which was originally founded in 1987 by Gerrye Wong and Lillian Gong-Guy to preserve and promote Chinese-American heritage throughout San José and the country. The reconstructed temple, which formerly served as a community center and hostel, now houses exhibits related to the history of Chinese Americans within the Santa Clara Valley, including the temple's original gold-gilded altar and five gods statues, constructed in 1888. Chromatic Coffee Co., Photo: Chromatic Coffee Co.